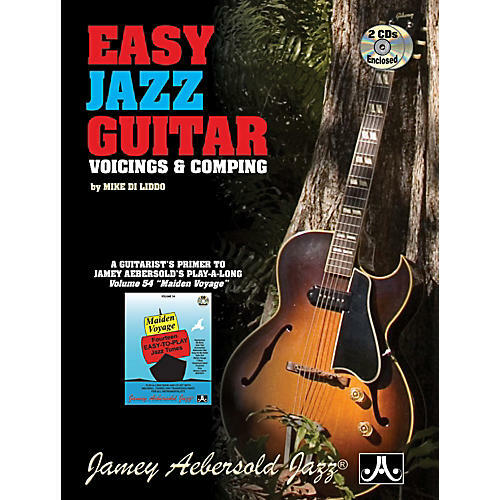 A Book and 2 CD set with super simple comping over the Standards on Jamey Aebersold's Volume 54 "Maiden Voyage," designed for the guitarist with little or no jazz experience. Chords and Voicings are explained in a manner that even the most novice Guitarists will understand. Includes demo and play-a-long CDs. Book has both standard notation and guitar frames for every voicing. This is a perfect prerequisite for "Maiden Voyage Guitar Comping", also by Mike DiLiddo.